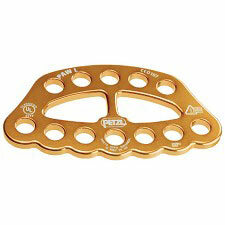 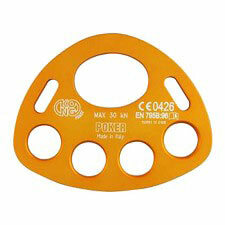 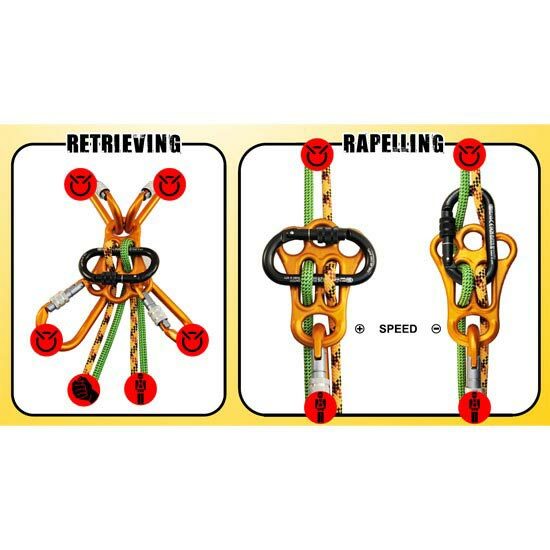 An Innovative belay plate that can also be used as a rigging plate. 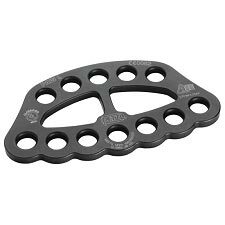 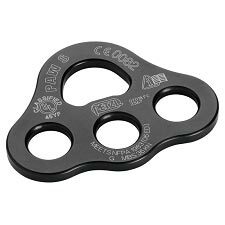 It is fitted with three holes, certified EN 795/B for 5 people, and can also be used as a brake for rappelling with single or double ropes. 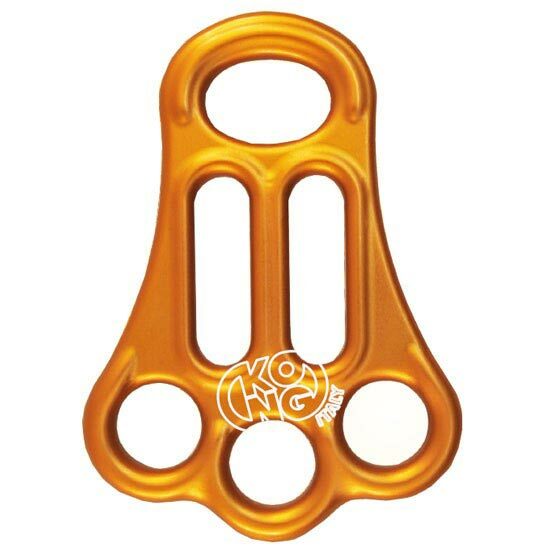 It is a very useful device for rescue operations and is the natural choice for mountain experts. 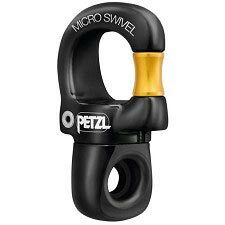 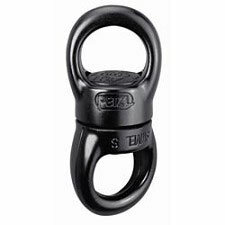 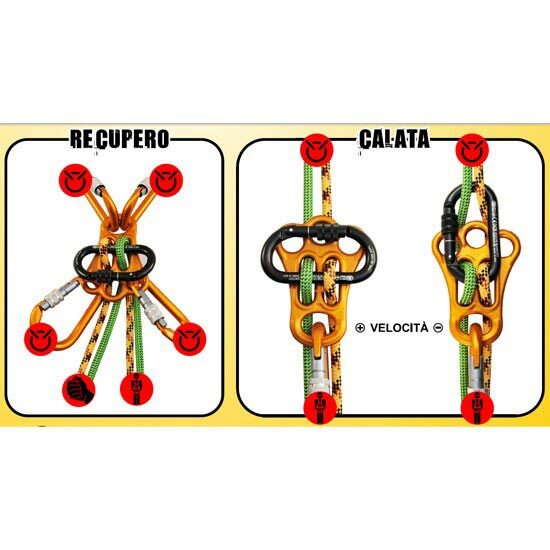 It allows a cleaner belay point avoiding tricky and cumbersome chains of carabiners and plates. 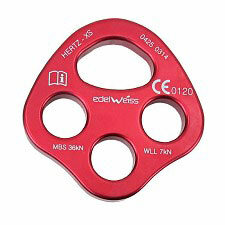 The wide upper hole is able to accommodate two connectors for an higher safety. 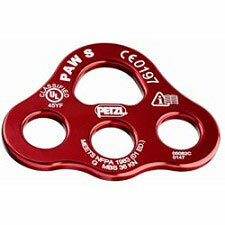 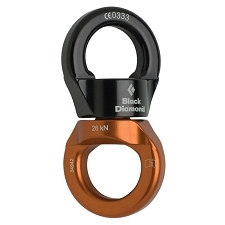 When used as a descending device, it works with ropes from 8 to 12mm.